Don't be afraid to jog a customer's memory if you're still waiting on what you're owed. Small businesses in Britain are thought to be owed more than £55bn in late invoices, and while the Government is looking into ways to address this, the problem is unlikely to be dealt with any time soon. This week Diageo was in the spotlight after changing its payment terms from 60 to 90 days. While there's no suggestion that the drinks giant is paying its suppliers late, it's just the latest in a line of stories highlighting the controversial nature of this issue. So how can you make sure you get your due without damaging your relationship with a client? MT spoke with Philip King, a former credit manager for Vodafone and the chief executive of the Chartered Institute of Credit Management, and John Kilbey, a senior adviser at the Forum of Private Business, to get their advice on how to hurry customers along. Much of the work you can do to ensure you get paid needs to be done in advance – not useful information if you're currently chasing payment, but something to remember for next time. First of all you need to know if you should be doing business with your customer at all. Be sure to clarify exactly what your payment terms are in advance – a nod and a wink aren't enough and there's not a lot of recourse if nothing has been agreed and things go wrong. Don't give a big client any excuse for not paying when they should. Double check if there are any particular things you need to include on the invoice, such as an order number, and find out where you need to send it – even if you're dealing with someone at an office local to you, the company's administrative staff could be somewhere else entirely. 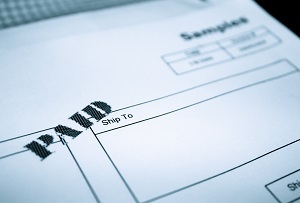 It should go without saying that you should send the invoice off as quickly as you can. If your money hasn't arrived then it's no good sitting around waiting and seeing if it might show up by itself. It's easy to get shirty when people are withholding what's yours, but King says it's important to remain professional. He adds that a good way to hurry things along can be to get in touch with your original contact within the organisation rather than just dealing with the accounts receivable department – if you've got a strong relationship with a buyer then they can be a useful internal advocate for you. If a client does overshoot the agreed payment deadline then you're well within your rights to charge late fees. Some people think this is only an option when things have really broken down as they don't want to prevent themselves from getting future business. Kilbey says that as the law stands at the moment, 'small firms remain in a weak position when it comes to charging interest.' King says that's not always the case though. Delayed payments can play havoc with your cash flow, but don't pick up the phone to your lawyer too early as it's unlikely you will be able to deal with the client again. 'Legal recourse is really a final option, when the relationship with the company has completely broken down and you are not looking to continue doing business in the future,' says Kilbey. If all else fails and you don't want to pay the legal costs of pursuing a claim then you can always try embarassing your customer into paying. Visiting their offices and telling the receptionist you are waiting there for your cash might just get you kicked out but might just do the trick. Don't expect to do business with them again though.